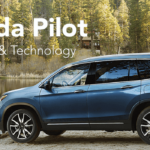 The 2019 Honda Pilot gets big updates to features and styling for the 2019 model year. A bold new look for the front grille and fascia to the Honda Sensing package now standard on every Pilot model. 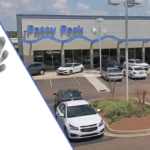 Mississippi SUV shoppers will find unbeatable value in every trim of the new Honda Pilot. 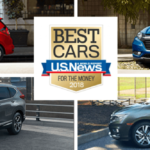 Parents Magazine and Edmunds.com announced their selections for the Best Family Cars of 2012. Much thought was taken into account as to what features, quality and characteristics make up an excellent family car. 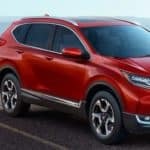 Top consideration by the editors was safety, requiring all vehicles to be equipped with antilock brakes, electronic stability control, and a minimum of six air bags. Other standards considered were fuel economy, kid-friendly features, and overall value. 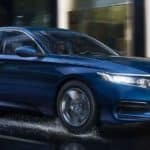 Honda is Highest Ranked Brand in “Full Line Automotive” category based on consumers’ perceptions of familiarity, quality, and purchase consideration. For most of the boys in my neighborhood, it was not a fun time. In fact, most avoided it as long as they could. Hanging out with friends, running errands for Mother, and sleepovers at Grandmother’s house, were just some of the ways to avoid a subpoena. Almost as bad as going to the County Health Department for immunization shots, it was an anathema. About once a month, I would hear, “Danny, go get in the chair, so I can cut your hair.” Usually, without hesitation, I would climb into that chair, get draped in a homemade barber’s cloak, and the buzz of clippers and snipping of scissors would ensue. What Causes More Accidents Than Distracted Drivers? Believe it or not, failure to use a turn signal causes twice the number of accidents than are caused by distracted drivers. According to a new study from the Society of Automotive Engineers, turn signal neglect, either by failing to turn when their signal is activated or not activating the signal at all, happens an astonishing 750 billion times per year.